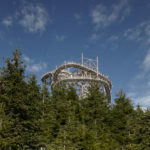 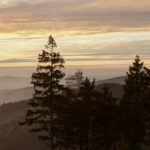 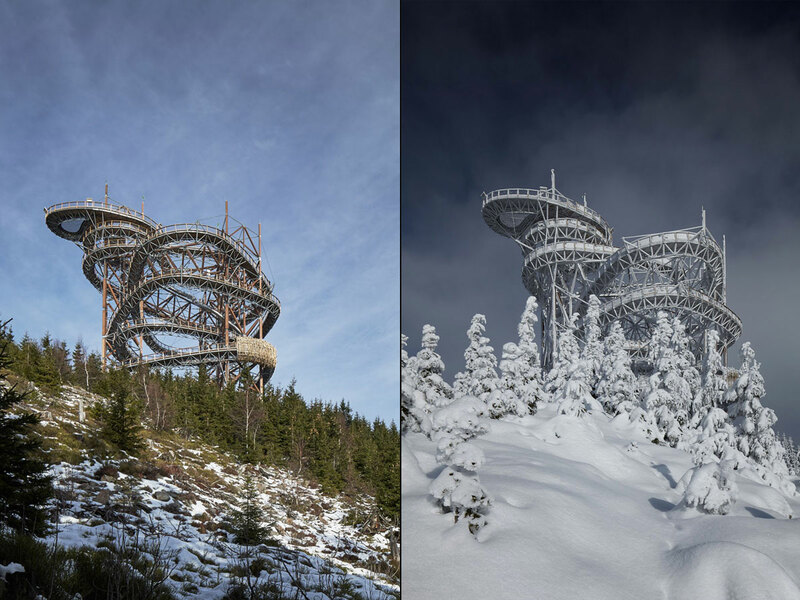 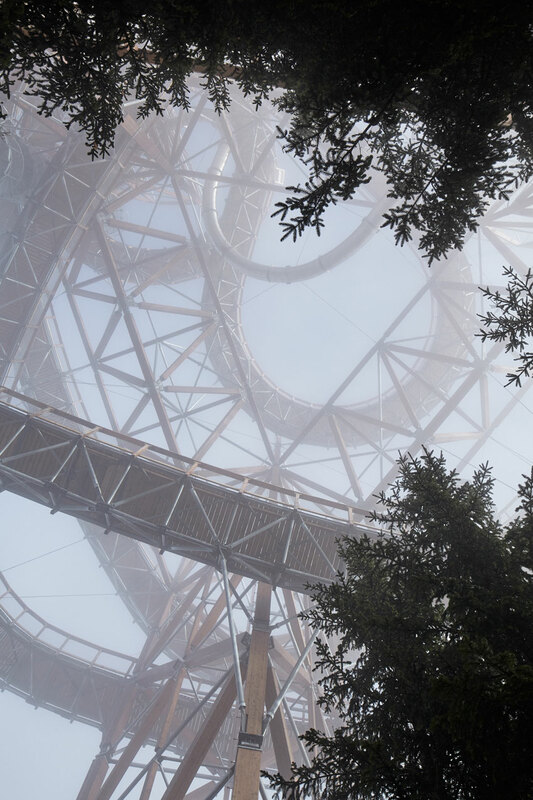 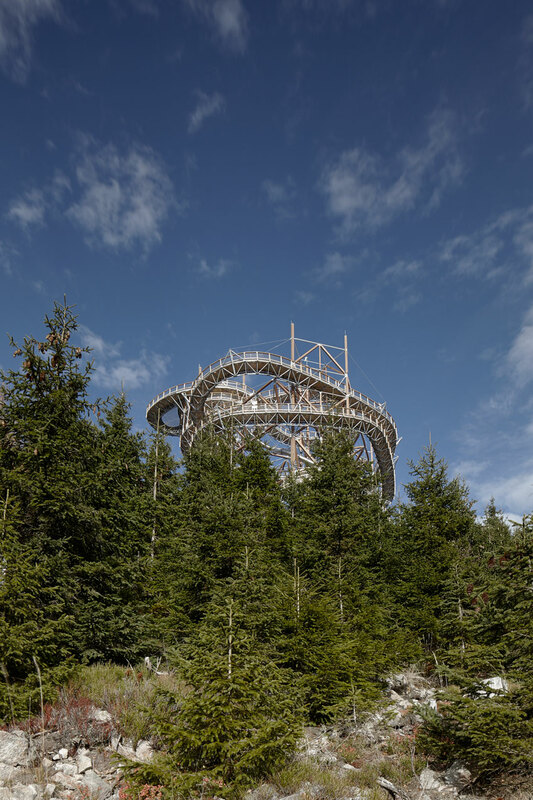 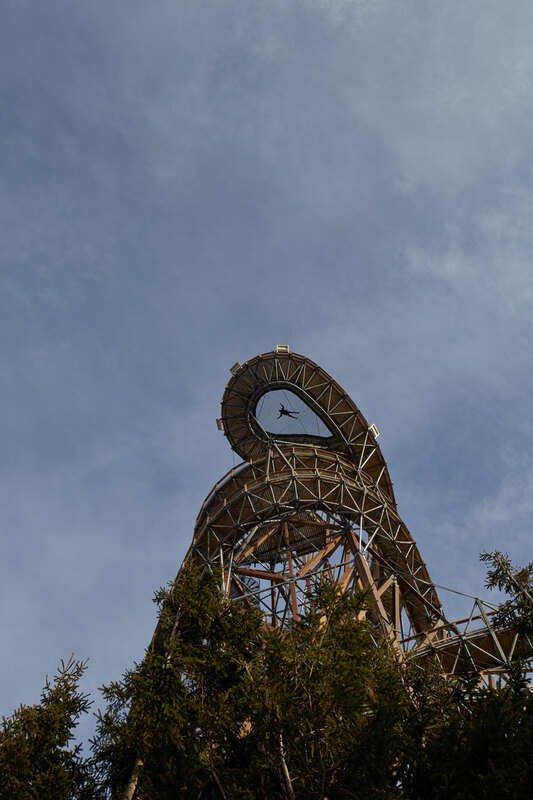 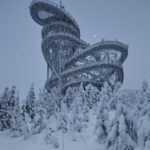 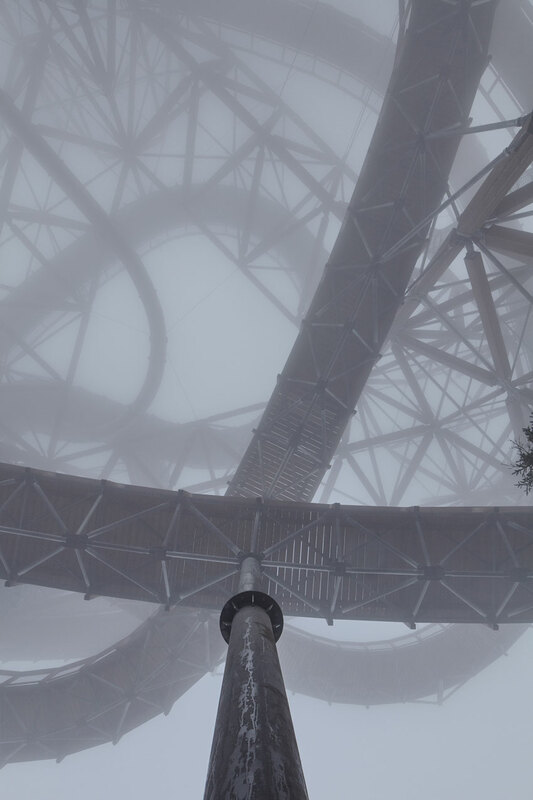 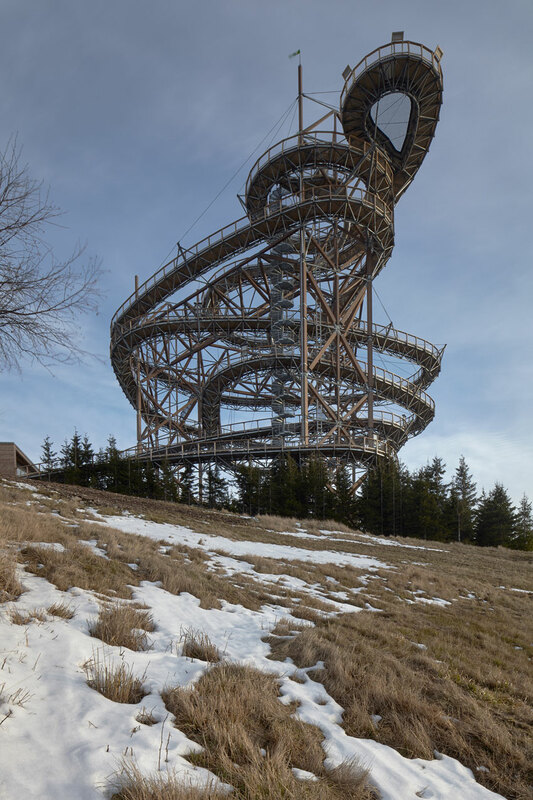 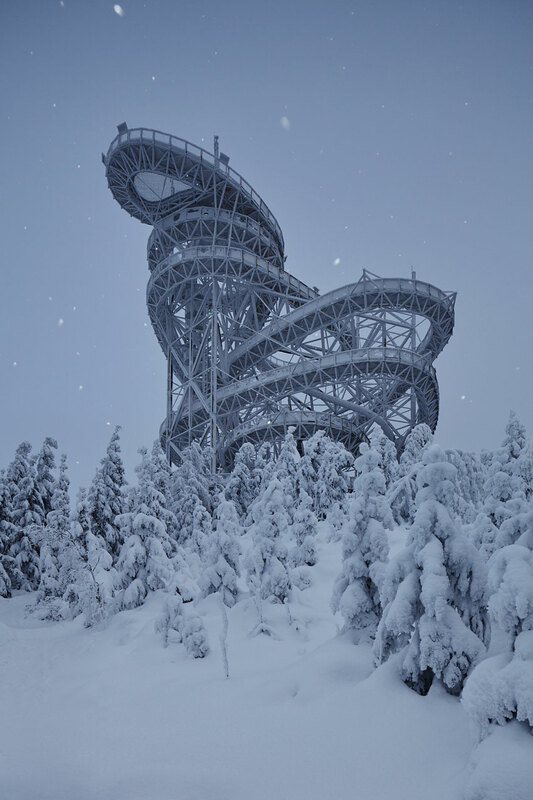 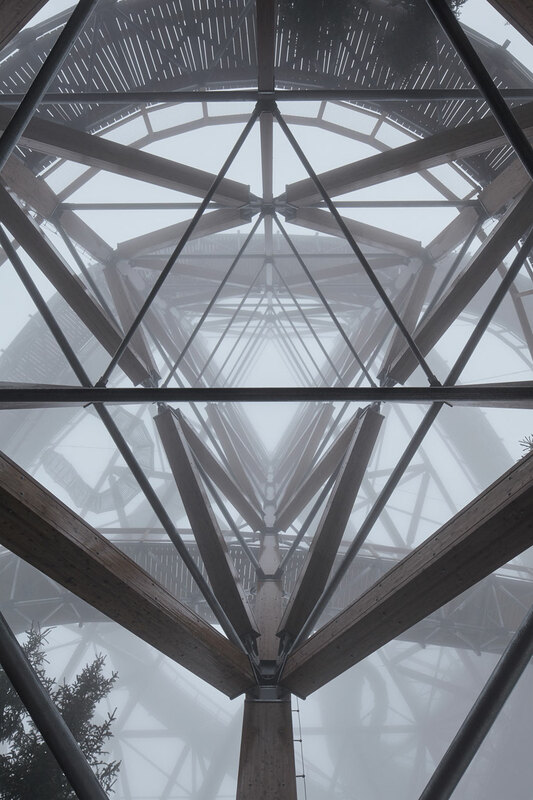 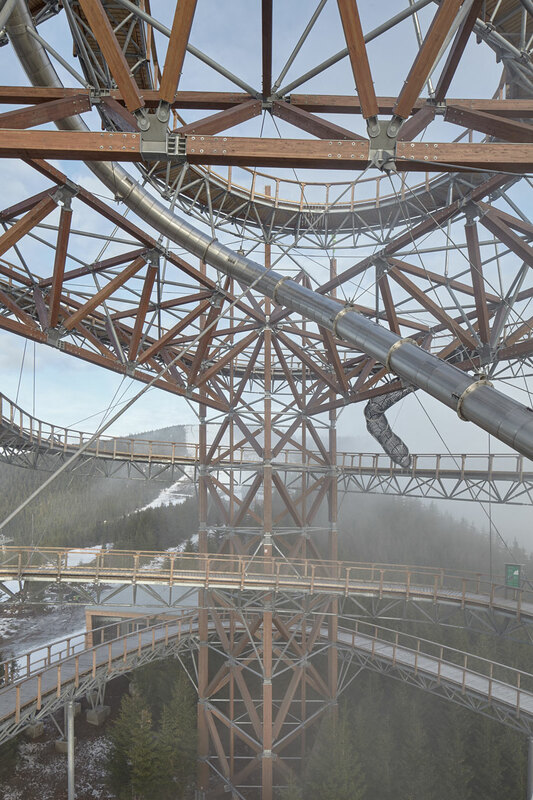 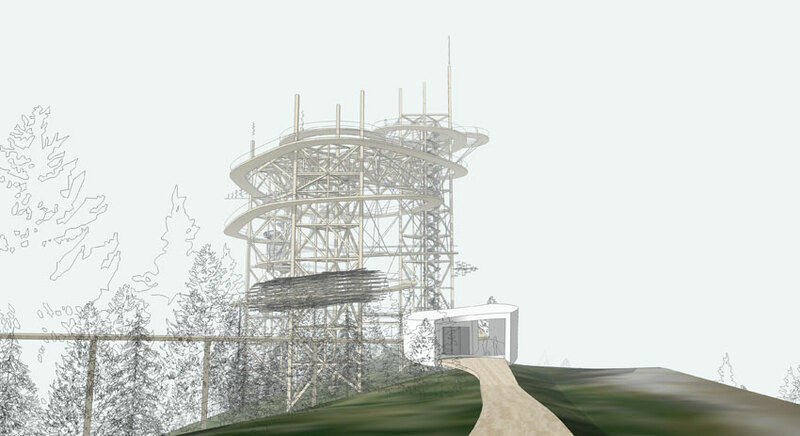 Fránek Architects have recently completed a unique 55 meter high observatory building mainly built in timber near the cottage Slaměnka at Dolni Morava, Czech Republic. 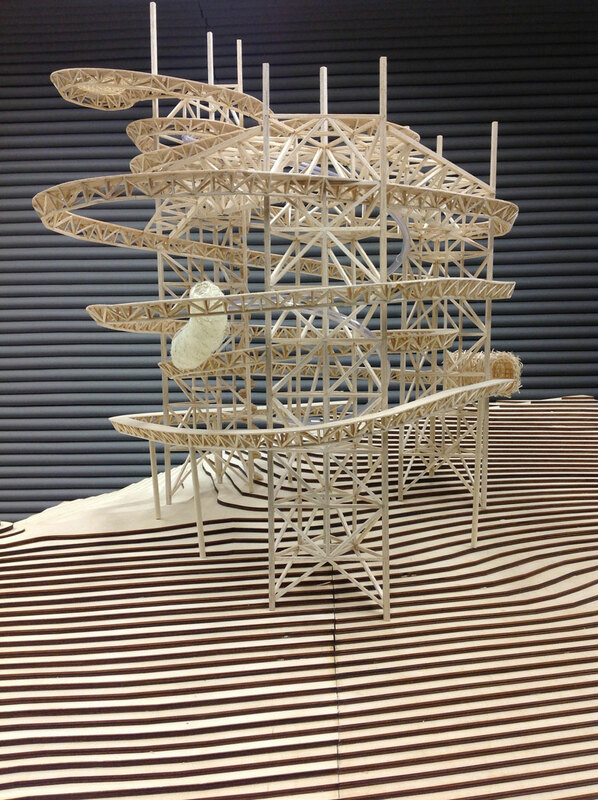 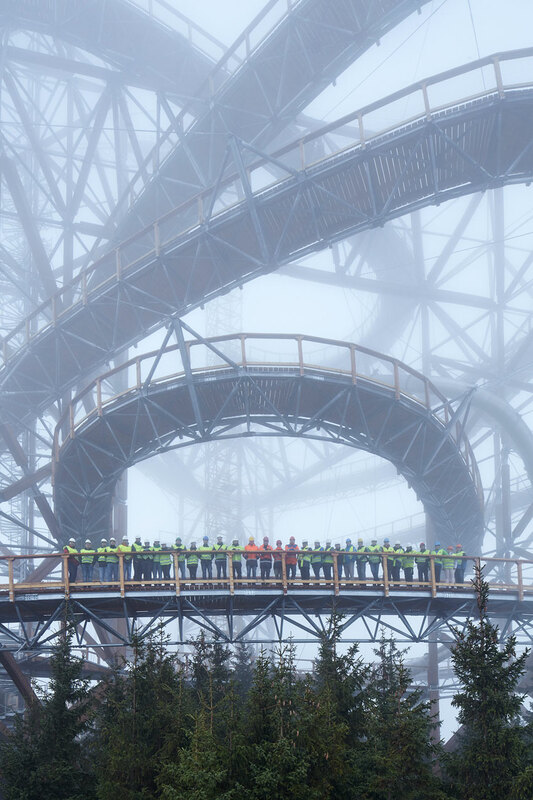 It is rare to use timber on a construction of this magnitude. 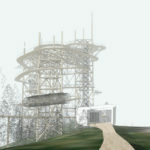 It also creates a new kind of experience where people better realise how small they are in the bosom of nature. 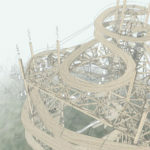 I don’t know of any other timber construction with steel elements of a similar size and purpose. 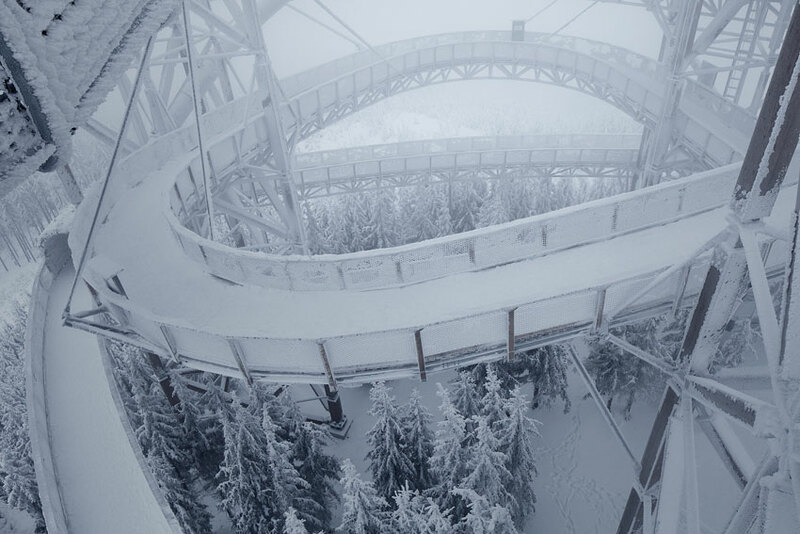 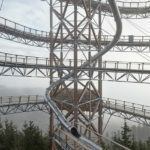 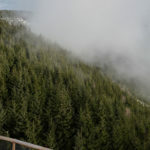 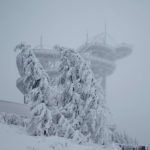 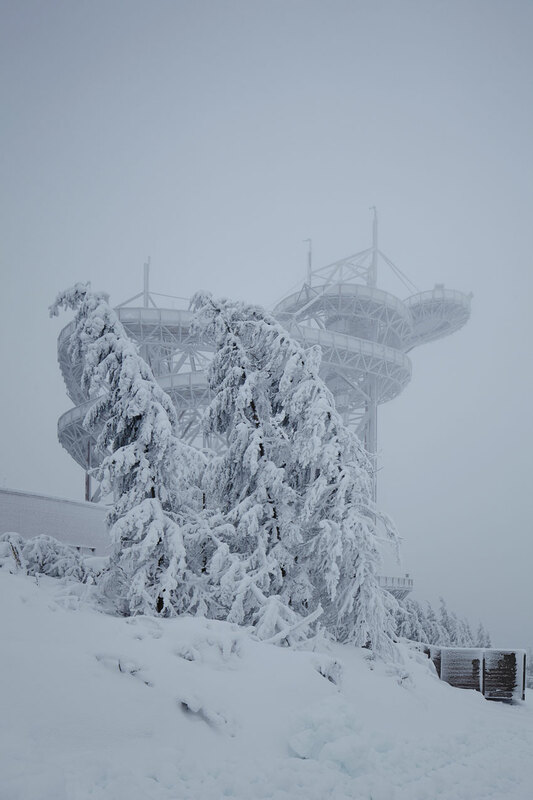 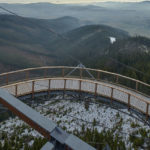 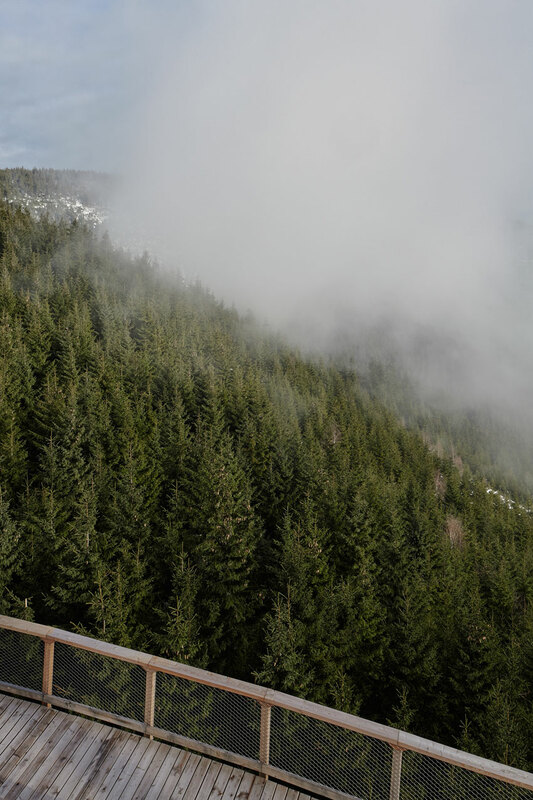 Sky walk is located very close to the cottage Slaměnka, at the top station of chair lift Sněžník, at an altitude of 1,116 meters above sea level. 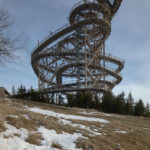 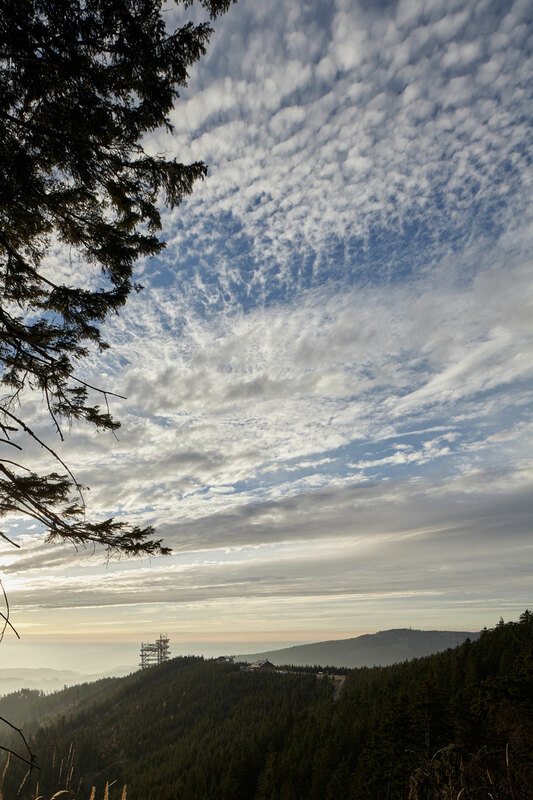 Its height is 55 meters and the summit can be easily reached along a wooden path with strollers and wheelchairs. 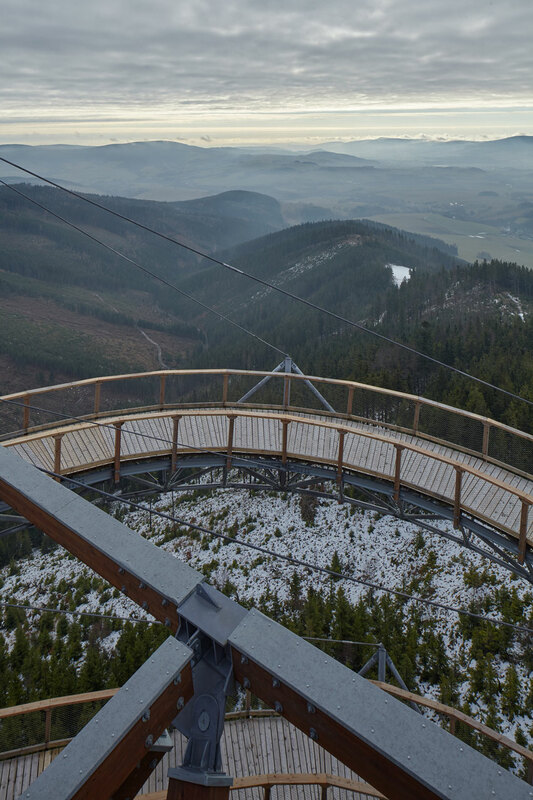 More adventurous visitors can use unique 101 m long stainless slider with windows. 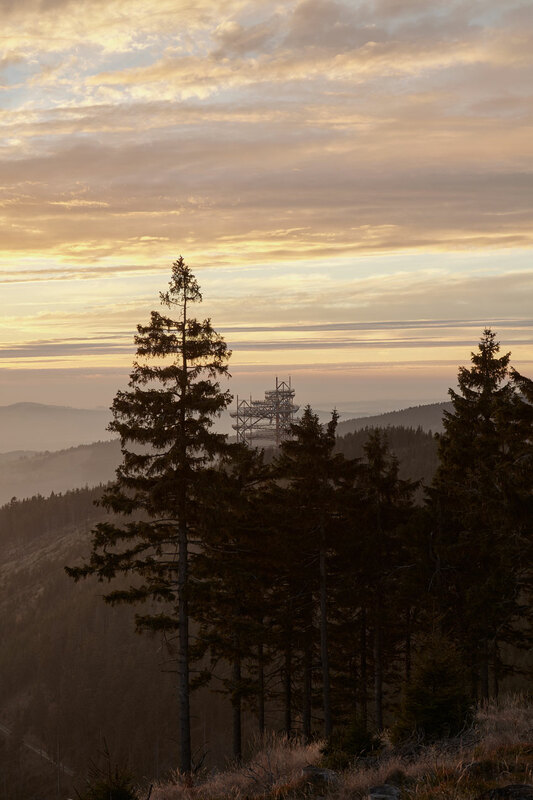 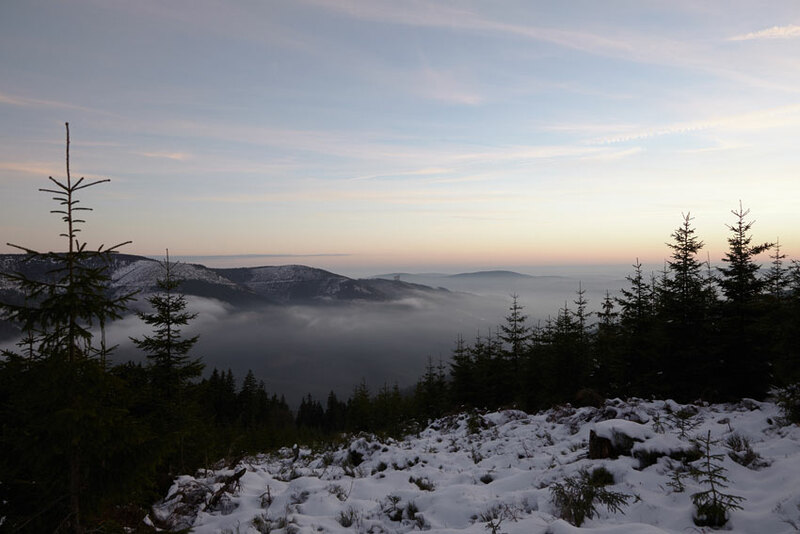 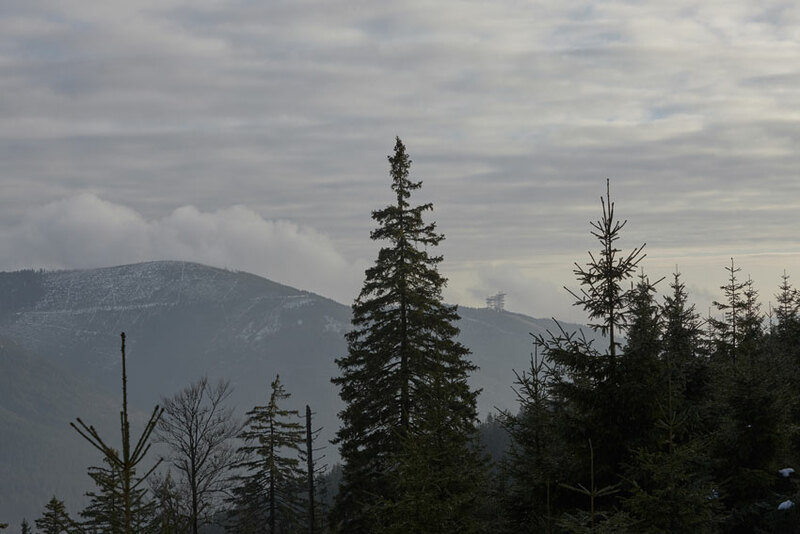 You can enjoy the beautiful views of the entire massif of the Králický Sněžník with scenic valley of Morava river, in the distance, then the main ridge of Jeseníky and Krkonoše Mountains. 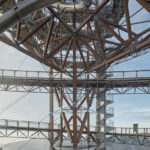 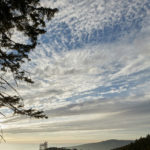 “We have to say that constructing the Sky Walk was a unique experience and that it literally meant a path of courage and self-knowledge to us. 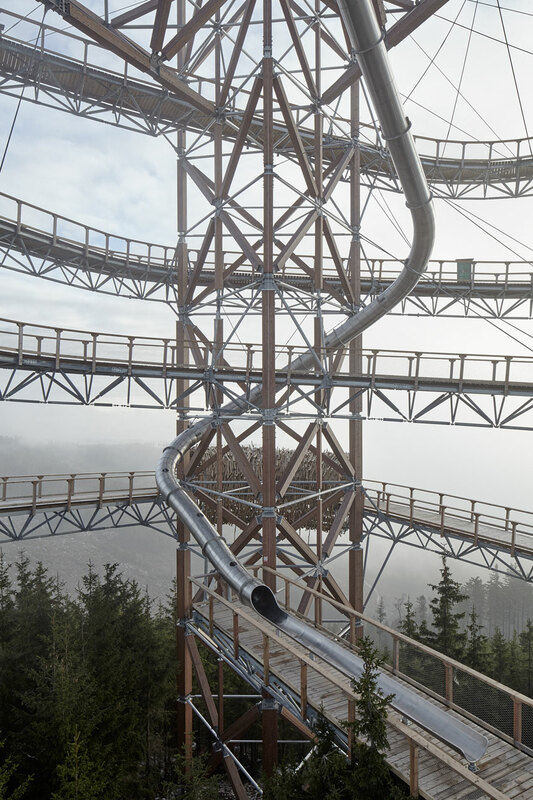 So far, we have worked on various challenges and we thought that this one would be like the others, but we soon found out that the Sky Walk was the real thing. 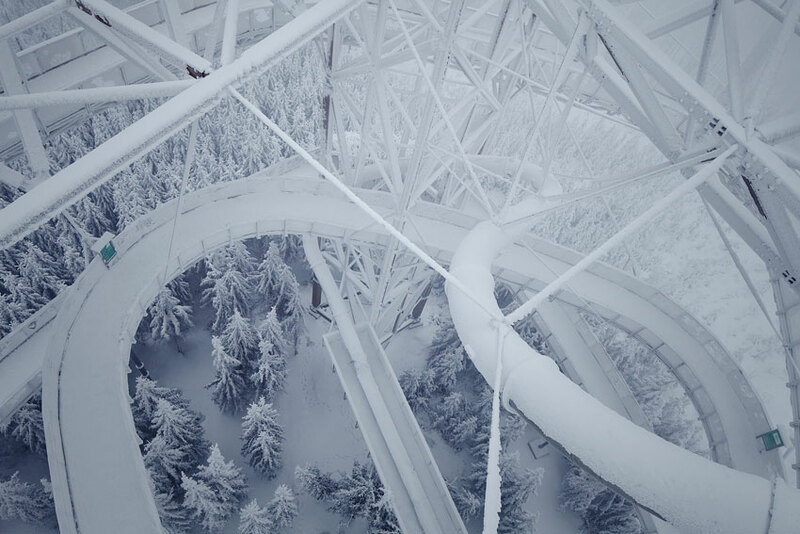 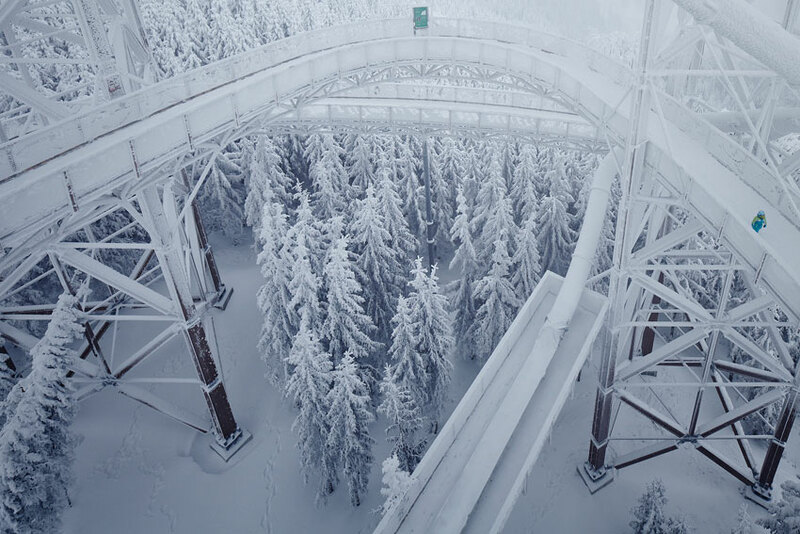 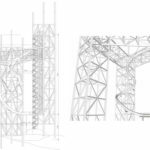 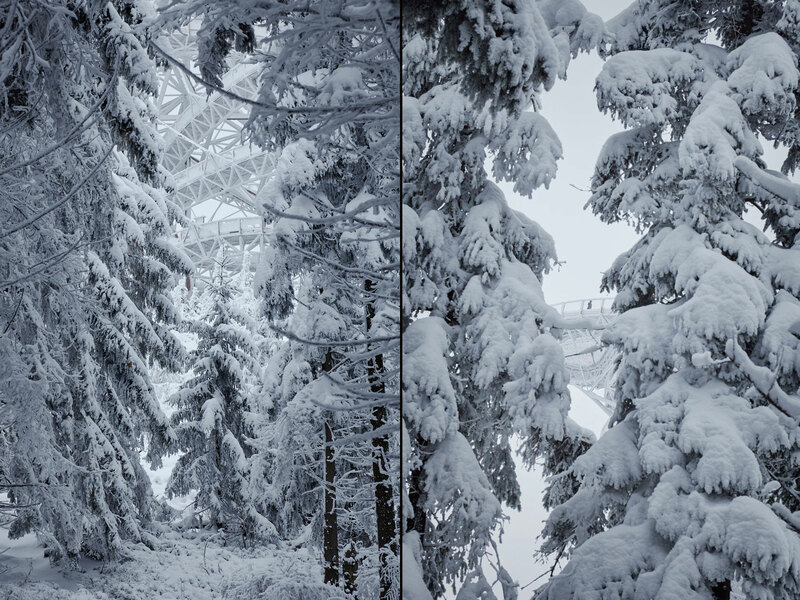 We found ourselves in a completely different situation, having to build at a height of 1,185 metres above sea level in a difficult terrain to where all of the materials and equipment had to be transported. 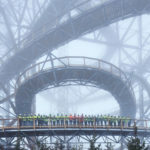 Also, the complexity of the man-powered assembly was an issue, given the strict safety rules that had to be followed because the workers moved about the same prominent structures like when the first New York skyscrapers had been built. 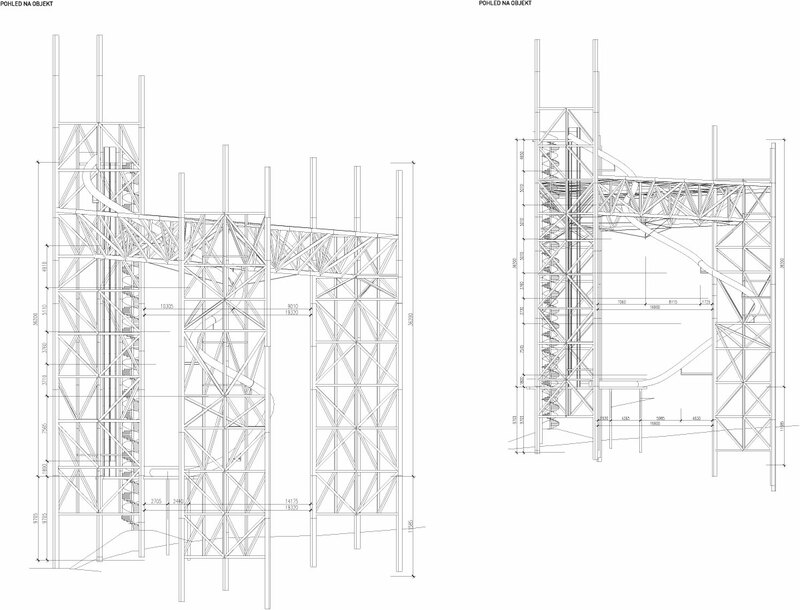 When looking at this kind of assembly, images of the Empire State Building being built came to mind. 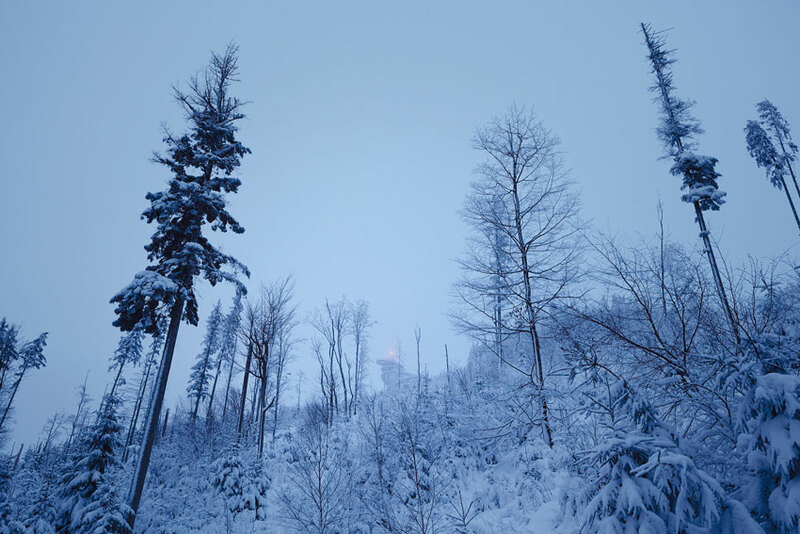 It was the first time we had ever seen anything of the sort; it was astonishing and chilling at the same time. 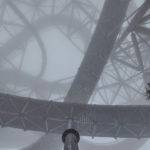 Another obstacle we had to face was changeable weather. 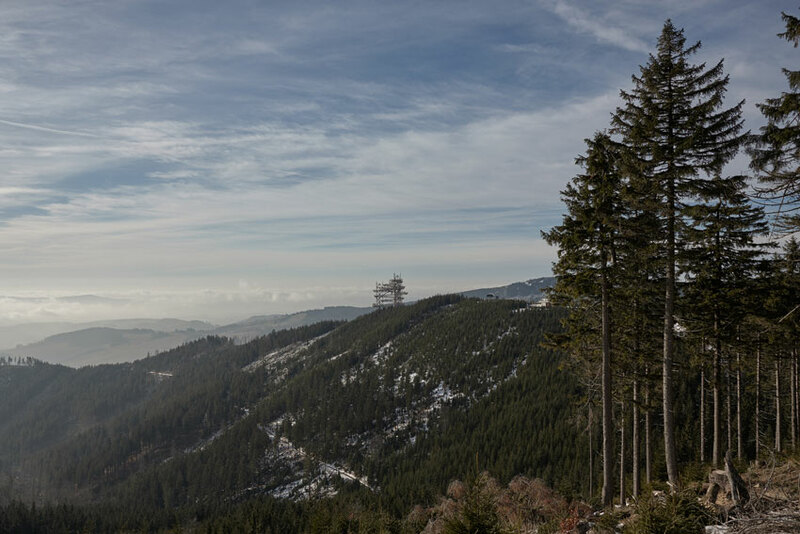 Down in the valley the sun shone so intensely that you could walk about in just your t-shirt, but up there it was cold with strong gusts of wind that made construction work even more difficult. 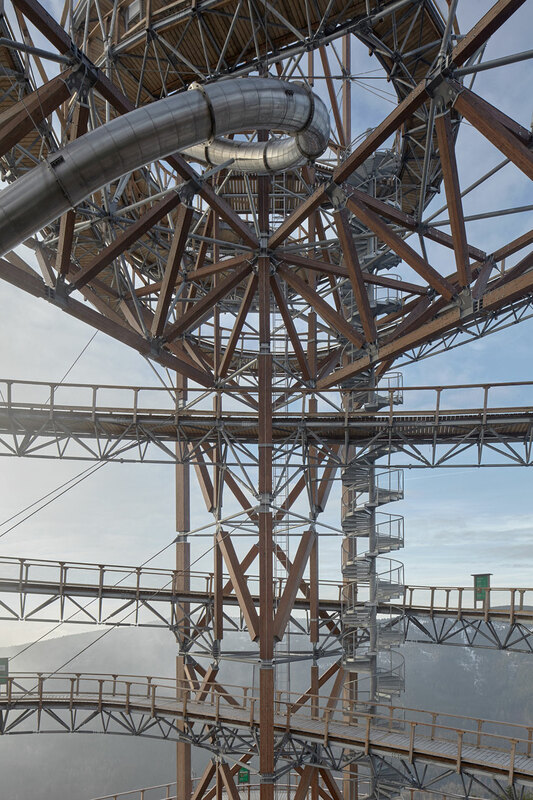 The coordination of everyone involved was also very important and people had to show a great deal of diplomacy where the complexity of the construction was concerned. 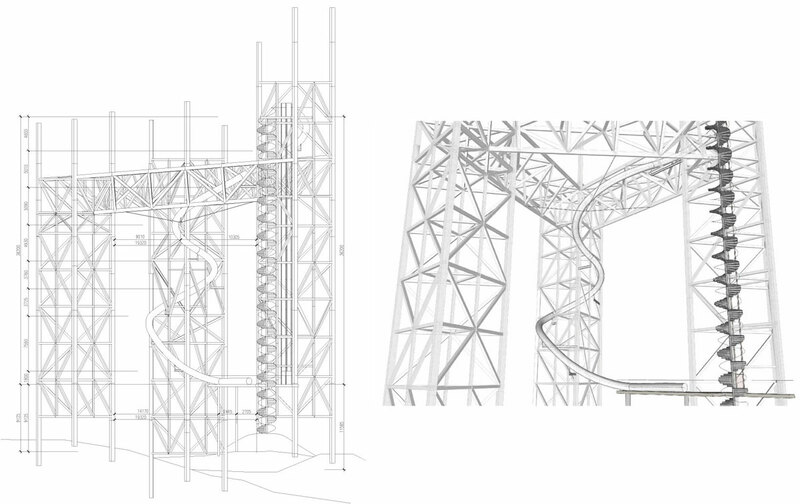 TAROS NOVA s.r.o., general designer and supplier. 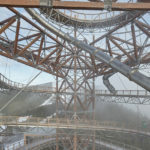 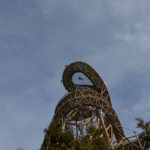 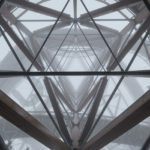 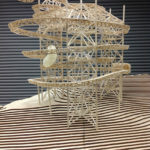 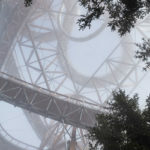 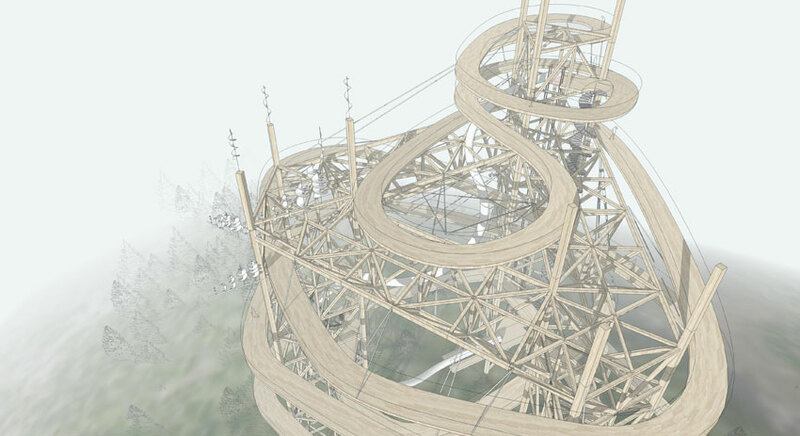 Cite this article: "Sky Walk / Fránek Architects," in ArchEyes, May 16, 2016, http://archeyes.com/sky-walk-franek-architects/.